At least four militants were killed in retaliatory fire by 45 Battalion Central Reserve Police Force (CRPF) and the Jammu and Kashmir Police (JKP) at Sumbal in Jammu and Kashmir's Bandipora district on Monday morning. Earlier on June 3, at least two Army personnel were killed and four injured in attack by terrorists on Army convoy in the Qazigund district. 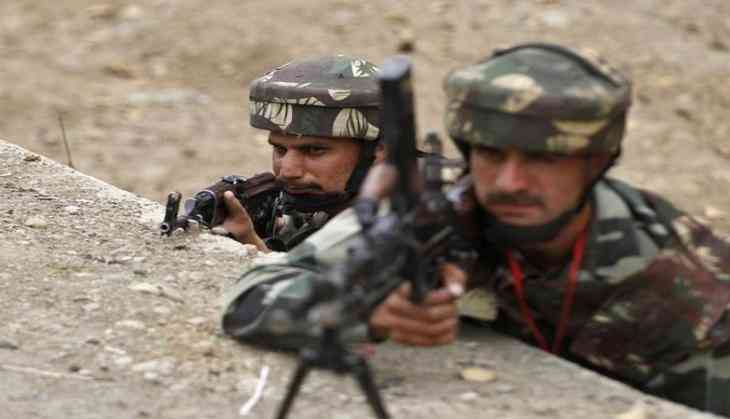 In another incident, at least one civilian was injured in ceasefire violation by Pakistan in the Poonch sector. The Pakistani Army had earlier initiated indiscriminate firing of small arms, automatics, 82 mm and 120 mm mortars along the Line of Control (LoC) in the Naushera and Krishna Ghati sectors on Thursday in which two civilians were injured.